After denying Michael Cohen's claims in a tweetstorm today, and being told by Nancy Pelosi that Dems have started the process of trying to get his tax returns, it appears President Trump has yet more legal issues as The Wall Street Journal reports that federal prosecutors in Manhattan are investigating whether his 2017 inaugural committee misspent some of the record $107 million it raised from donations. 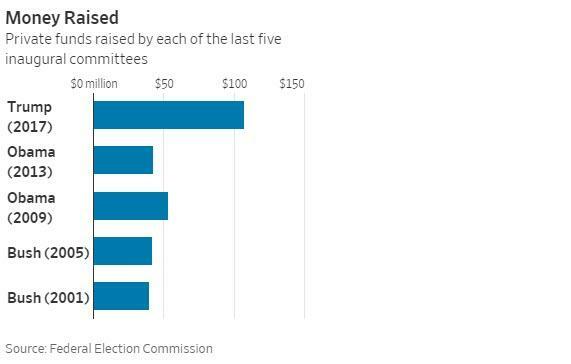 The committee raised more than double what former President Barack Obama’s first inaugural fund reported raising in 2009, the previous record. 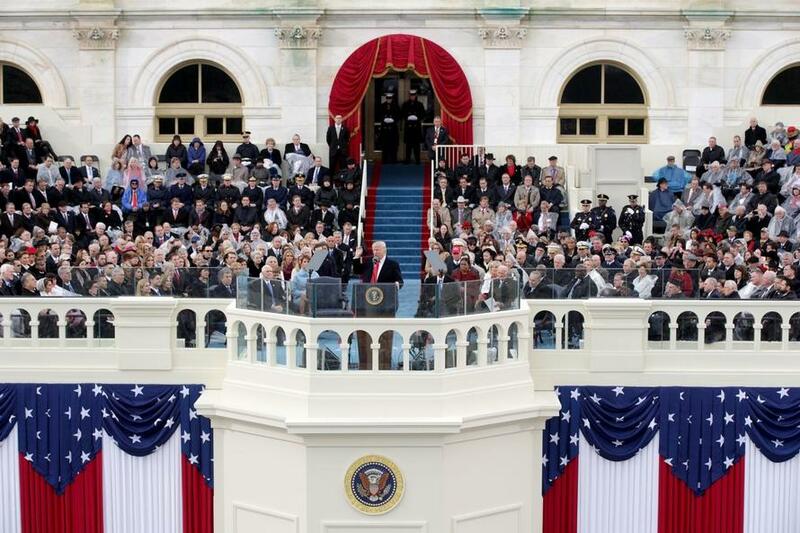 The inaugural committee has publicly identified vendors accounting for $61 million of the $103 million it spent, and it hasn’t provided details on those expenses, according to tax filings. As a nonprofit organization, the fund is only required to make public its top five vendors. According to the ubiquitous 'people familiar with the matter', WSJ reports that the criminal probe by the Manhattan U.S. attorney’s office, which is in its early stages, also is examining whether some of the committee’s top donors gave money in exchange for access to the incoming Trump administration, policy concessions or to influence official administration positions, some of the people said. President Trump’s funds came largely from wealthy donors and corporations who gave $1 million or more - including casino billionaire Sheldon Adelson, AT&T and Boeing, according to Federal Election Commission filings. There is no sign that those three donors are under investigation. All of which sounds like a "deep state" reach into possible Trump-Saudi connections (now that the Russia collusion narrative has collapsed). The criminal probe reportedly arose from materials seized in Michael Cohen’s business dealings, after raids of his home, office, and hotel room which included a recorded conversation between Mr. Cohen and Stephanie Winston Wolkoff, a former adviser to Melania Trump, who worked on the inaugural events. In the recording, Ms. Wolkoff expressed concern about how the inaugural committee was spending money, according to a person familiar with the Cohen investigation. The same 'people familiar' also note that prosecutors have asked Richard Gates, a former campaign aide who served as the inaugural committee’s deputy chairman, about the fund’s spending and its donors, and in recent months asked Tennessee developer Franklin L. Haney for documents related to a $1 million donation he made to Mr. Trump’s inaugural committee in December 2016. The committee was headed by Thomas Barrack Jr., a real-estate developer and longtime friend of Mr. Trump. There is no sign the investigation is targeting Mr. Barrack, and he hasn’t been approached by investigators but WSJ reports that Mr. Barrack has said that an external audit was completed of the inaugural committee’s finances, but the organization has declined to make that audit available. So while this all sounds like yet another legally questionable aspect of the Trump administration, as is clear by the sparcity of The Wall Street Journal's reporting, there is little - if anything - here so far and it once again appears more fishing expedition in search of a crime. And obviously, it builds on the public perception of corruption which we are sure Mueller's report will strongly hint at - although being completely unable to prosecute the collusion.